Welcome to Xtreme Car Rental King Shaka International Airport where our small but dedicated team is focused on providing great, friendly car rental services in Durban Airport and surrounding areas of KwaZulu-Natal at cheap and affordable prices. To rent a car from Xtreme Car at King Shaka International Airport in Durban, please use our Quote and Booking Form and click ‘Continue’. We’ll then provide you with a range of instant quotes at our best available prices. What’s more, when you book your car through Xtreme Car Rental we will arrange for pick up and drop-off of your rental vehicle for FREE from the Airport at no extra charge! Our booking process for car hire at Durban Airport is quick, secure and easy with everything up front and no hidden charges, fees or surprises. An email confirmation provides you with all the details of your booking and where to collect your vehicle. Our office is located 30 kilometres South of the King Shaka International Airport, but don’t be alarmed; we will be waiting for you with your rental car at the Airport on your arrival, and you can drop your vehicle off at the Airport again upon your return flight. We also offer FREE shuttle transfers between Durban Airport and your Hotel. King Shaka International Airport (KSIA) or as its more locally known as La Mercy Airport, is the primary airport serving Durban. It is located approximately 35 km (22 mi) north of the city centre of Durban, and it opened its doors to passengers on 1 May 2010, just over a month before the start of the 2010 FIFA World Cup. Built as a replacement for the ageing Durban International Airport this world class airport which is three times as large as it predecessor offers a host of features to make travellers coming to Durban and KwaZulu-Natal’s travel experience as comfortable and pleasurable as possible. 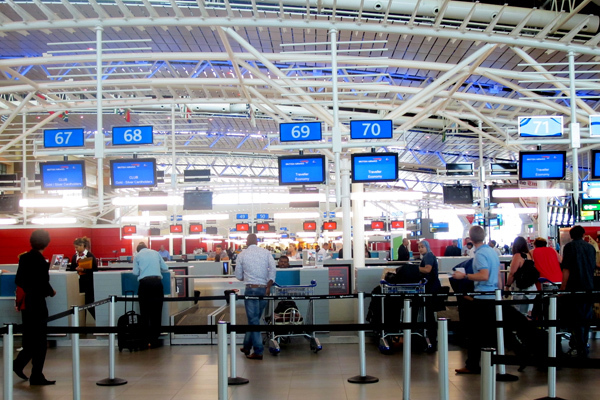 The airport offers a host of shops and restaurants, much improved car hire facilities and a bank and post office are just a few additional features King Shaka International Airport has to offer. Why Hire a car in Durban Airport from Extreme Car Rental? There are plenty more reasons why you should hire a car in Durban Airport from Xtreme Car Rental. At Xtreme Car Rental we love to help people just like you with cheap and affordable car hire rates. We provide only new model vehicles with low mileage ensuring your car hire experience is a hassle free one. Give us a call if you do require further assistance with your Durban Airport car hire bookings. Why not add a GPS system or a baby seats to your booking? Short term or long-term car rental available upon request. We offer great last minute Car Hire and Rentals to all who might have left their car hire in Durban Airport till the last minute! Whether you are in Durban Airport for a quick in and out meeting, or for a few days our Company Car Rental Fleet solution offers business travellers access to low mileage latest model automobiles at affordable prices. We offer a wide range of Economy / Budget and Luxury vehicles. Should you require a Chauffeured Business services, we can assist you. One of our professional drivers will drive you at your leisure to all your business meetings. This is one of our popular services for visiting executives from other countries as our professionally trained drivers know the areas that you will be visiting.